Steve Hainey is an international speaker who has had over 20 years’ experience in global multi-site supply chain planning for Fortune 100 & 500 manufacturing companies of retail consumable goods, chemical materials, and medical device products. 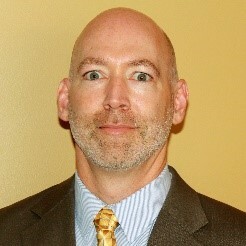 Steve has also led numerous S&OP implementation and enhancement projects throughout his career. Currently as the Director of Supply Chain for Newell Brands Applied Materials, he oversees the SIOP process, production planning, procurement, warehousing, and logistics for servicing big box retailers including Walmart, Lowe’s, and The Home Depot. Earlier in his career as the senior global supply chain position for Honeywell’s one-billion-dollar Fluorine Products business unit, Steve was accountable for all the inventory planning elements including the business’s SIOP processes for their chemical plants, blending facilities and distribution centers in 7 countries across the world. He led Fluorine Products to be Honeywell PMT’s first BU to achieve an internal audit of “Green” for SIOP tools after leading the successful implementation of SAP’s Advanced Planning and Optimization (APO) module. Steve: A little over 15 years ago, working as the Master Scheduler at the Trubyte Division of Dentsply International, I was approach by the VP to rollout an S&OP process for the business unit. The VP mentioned about reading an article on S&OP and felt it would be a beneficial endeavour to get alignment on planning for the division’s two production sites, 5 distribution centers, and one hundred thousand parts. Being early in my supply chain career, I thought this should not be too bad to do. As the business’s system tech guru and naive about the requirements for a successful S&OP, I focused on building the different key performance indicator (KPI) tools for the VP’s objectives thinking they would the primary requirements for each of the meetings and everything else would fall into place. Over the first few months, I quickly learned that it was much more than supplying reports and data. After this realization, I transitioned to working with the VP to focus more on the forward looking cross-functional actions needed to achieve the organization’s top goals, getting functional leadership involvement from his team and having his support for holding individuals accountable for their deliverables. The S&OP processes eventually contributed to the division’s sales growth and all-time records for both customer service levels and inventory turns. With these achievements, I was nominated for Dentsply’s annual “Above & Beyond” award given to an individual that performed beyond the expectations of their role. Steve: I truly enjoy overseeing S&OP processes viewing them as a very intense strategic game. I don’t need to play any of these types of games outside of work when considering what we go through daily. Our lives include things like dynamic customer demand changes, supplier difficulties, global politic changes, large commodity price swings, port distributions, ever changing currency rates, and that’s prior to all the internal turmoil. I don’t believe game developers could ever come up with some the types of things we see on a regular basis. 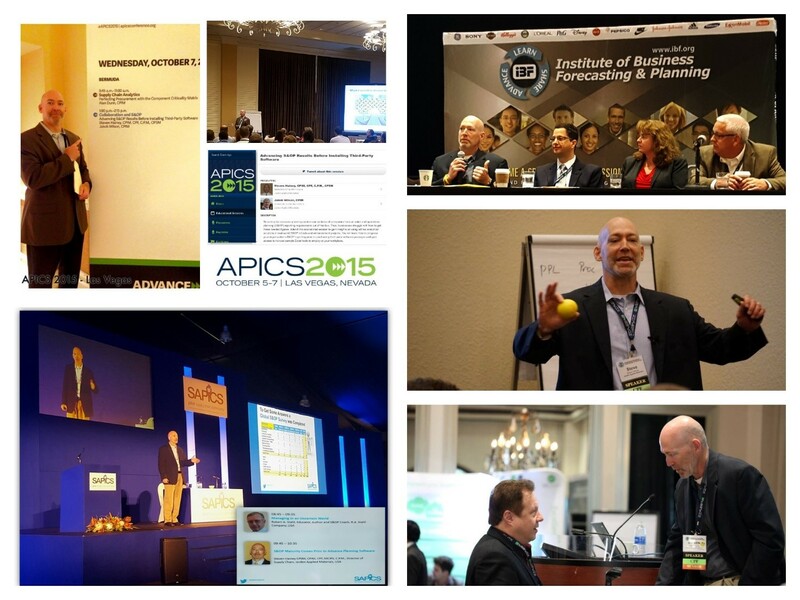 Over the last year, I started doing public speaking on S&OP and methods to advance organizations’ outcomes. My first one was for the 2015 annual APICS conference in Las Vegas where a board member of SAPICS attending my presentation inquired if I would be interested in presenting at their conference in Sun City, South Africa. To my surprise, I was selected to present in the main conference hall following behind well-known S&OP author and consultant Bob Stahl. Wow, nothing like a little pressure for the second public speaking event! Then last month, I had the privilege to speak and be on the “Managing S&OP in Today’s Disruptive & Demanding Business Environment” executive panel at The Institute of Business Forecasting & Planning (IBF) leadership forum and conference in Orlando, FL. I truly enjoyed having the chance to talk with other business professionals from different industries and regions of the world at these conferences to share the difficulties and successes encountered along the S&OP journey. This allows for a win-win outcome for both the conference participants and myself to learn about new practices, technology offerings, and some of those simple approaches that are sometimes overlooked when they are not brought to your attention. Steve: Nothing like starting with a tough question out of the gate Niels! Due to always being up for a good challenge, let me give it a shot. From the written S&OP materials seen, I’ll estimate that millions of companies across the world have spent billions of dollars over the last 30 years in consulting, software, and other planning projects. When having this amount of effort and spending going into improved planning without sizeable improvements, I believe this is why we’re seeing so much dissatisfaction from the practitioners in your “S&OP Pulse Check 2015”. Luckily for me, after a lot of persistence, candid conversations, learning from my mistakes, and listening to others from different types of roles and industries, I’ve experienced methods to work around the obstacles that frequently come up. Through the online surveys we’ve completed together, and the interactions from the conferences I’ve attended, most companies get stuck in stage 2 or 3 no matter their industry or size. The part that always amazes me is the amount of business professionals this outcome surprises. Simular to most other performance assessments, we will see the normal bell curve distribution for the S&OP maturity stages. This is where the small percentage of companies land at the front tail-end stage of 1) Reactive Engagement and then the advanced 4) Proactive Forecast ones on the other side. The greatest amount of them are going to land within the two middle ones of 2) Speculative Scheduling and 3) Collaborative Planning. If it was easy, you are not looking at an appropriate model and it would not be a competitive advantage for those who do it well. When personally struggling to find a S&OP maturity model covering the major different elements and attributes I’ve encountered for my speaking engagements, I did what most others would do. I created my own! Below is version 1.2 of it from my most recent IBF presentation in October. 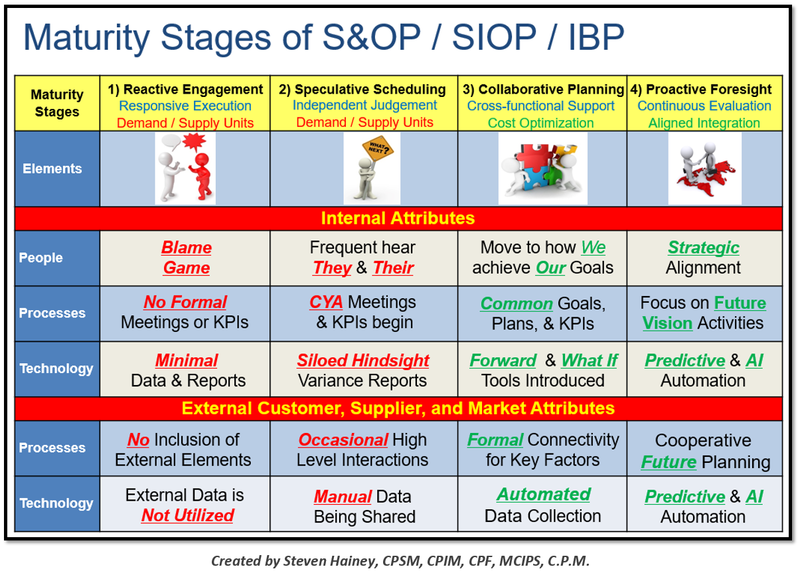 If your readers would like to see a detailed write up for its different elements and attributes, they can read my “The S&OP / SIOP / IBP Maturity Journey” posted on LinkedIn which has been viewed by almost a thousand business professionals across the globe. The barriers I hear the most about causing the S&OP stalling are comparable to the ones brought up by the earlier interviewed S&OP leaders and yourself. They would include getting active participation from senior management, all the needed functional areas, and remote facilities for those companies who have them. Without their involvement, it becomes almost impossible to get alignment on the changes and the ramifications from these different groups. Without their contributions, it will be difficult to make forward movement due to breakdowns in communications along with the assumptions of how to achieve them. 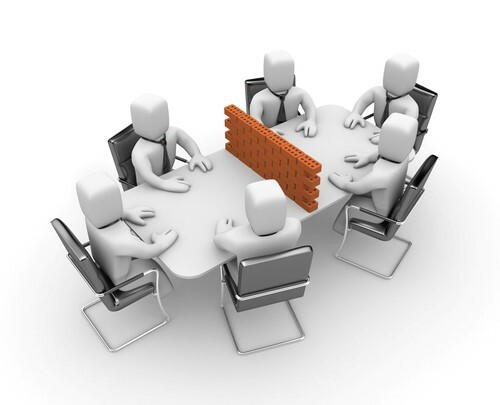 It is an uphill fight to have major advancements when there are only one or two functional areas participating in the S&OP meetings with others sitting on the sidelines asking why objectives are not being realized. I must bring up at this point, I am not referring only to the communication down the supply chain from Senior Management, Finance, and Sales to those individuals within the Supply Chain and Operations roles. The communication back up the chain is usually just as bad if not worse when companies are in the early maturity stages not having well-defined methods and guidelines for communicating the variances against the plans for each cycle. S&OP requirements are by no means unilateral with information only going one direction. Steve: From my perspective Niels, companies need to take a hard look in the mirror to assess where their maturity attributes fall within the above three S&OP elements. Organizations need to reflect if these S&OP maturity attributes are aligning with their long-term strategic objectives necessary to keep up with the changing requirements within their industry. This is because historical cultures and established practices are generally the most difficult barriers to realize and then overcome. This is especially the case in older companies where a substantial number of employees have been there for many years. 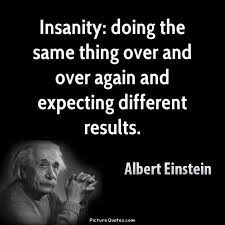 The quote of “The seven most expensive words in business – Because we have always done it that way” also applies to the S&OP practices. 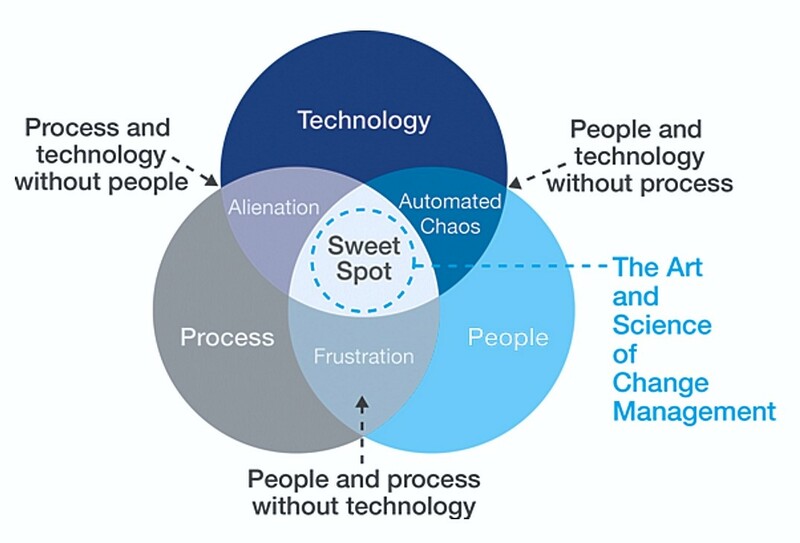 With this understanding, organizations should focus first on the People, then Processes, and round off with Technology. Over the last month, I came upon a well written post by Mark Altmann called the THREE ESSENTIAL INGREDIENTS FOR GREAT S&OP. In it, he wrote about a similar view point sharing the below diagram that really resonated with me. It displays what happens to an S&OP when the three elements start getting too far out of balance. There can be debate on his weight of the importance of People, Process, and Technology to progress an S&OP but I would have to believe that most leaders would agree with the priority sequence being laid out. This is the reason why 7 out of 10 professionals completing your “S&OP Pulse Check 2015” think behaviours are not addressed enough in S&OP implementations. Senior management needs to be actively involved to clearly establish company top objectives confirming alignment with those within the S&OP decisions, become the tie breaker for cross functional disagreements, and hold team members’ accountable for their deliverables. They also need to be careful of setting functional objectives which may be in direct conflict with the company’s or those of other areas causing difficulties in developing a collaborative environment. When it is normal human nature to do what’s in your own personal interest for your career, S&OP members may skew, delay, or just not furnish data to the other areas when team’s goals may conflict with their own causing negative impacts for the organization’s overall performance. To enable companies to be responsive to changes, information needs to flow bilaterally up and down the entire supply chain through the S&OP framework. On the other side of this same coin, S&OP participants must appreciate senior leadership cannot be expected to join every meeting in the cycle or have answers to all the questions. The S&OP process should have an executive overview meeting summarizing each cycle’s backwards looking KPI trends, achievements and failures with lessons learned, forward-looking opportunities, risks, potential barriers, and support require to achieve the defined objectives. This will permit leadership to get information at the appropriate level while having the executive meeting being an efficient utilization of their time. For those who feel somewhat overwhelmed with all of this, I would recommend them to read your Building Mental Toughness: Practical help to be yourself at your best E-Book to keep this type of ambition into perspective. I have purchased the E-Book myself and truly enjoyed it. A strong S&OP should have a steady continuous improvement within it due to there being no single destination outside of targeting ongoing progress. The S&OP cross-functional teams need to identify improvement opportunities, create a plan on how to realize the improvements, execute the change strategy, review the outcomes, and then go back to the first step of identifying additional opportunities for the company again. When companies get an internal foundation for their S&OP, then they should begin to incorporate key customers, suppliers, and market factors as formal components of their S&OP processes. There is a lot of available information that will assist companies by regularly interacting with business professionals and data sets from outside the organization. Steve: Niels, S&OP is difficult, requires substantial engagement from most functional areas along with senior management, NOT an overnight silver bullet, something which cannot be set on autopilot and forgot, and typically takes years and not months for it to become a supportive competitive advantage. The other problem here is that there are many inexperienced organizations struggling with their business planning looking to put S&OP into practice for a quick fix. Depending on the company’s S&OP maturity in the above three elements, their top organizational objectives, and the tactical areas to be converged on being different for every company, there is a large disconnect on these fallacies about S&OP and what really is necessary. These misconceptions along with the behavioral difficulties you outline in your interview contribute to why there is not a single step by step S&OP playbook out there for success. These types of misunderstandings may be why 71% of the “S&OP Pulse Check 2015” respondents are coming back frustrated looking for more industry standards around S&OP. There are a numerous first-class S&OP written materials and consultants to guide companies directionally at a high level for their journey but unfortunately after S&OP being in place for 30 years without “industry standards” defined so far, I just can’t see one fits all level tactical turn by turn roadmap coming out in the future. Steve: For me, I see more companies moving away from the narrow-minded view that S&OP is a planning practice for just balancing supply and demand at the stocking unit of measure still seen in many organizations today. This limiting view is the reason so many companies are replacing the S&OP label to that of integrated business planning (IBP). Non-supply chain professionals not properly trained in sales and operations planning (S&OP) have a difficulty envisioning it as a platform to cover the financial strategies, future revenue growth approaches, marketing plans, regulatory amendments, global political changes, quality risks, social media ramifications and the other overarching business aspects having substantial impacts to organizations’ successes. These are primary examples of siloed processes that are being discuss outside S&OP meetings where senior management and/or individuals from the different functions do not feel or appropriately educated how other areas may add value to “their activities” by incorporating them within the business’s core collaborative planning process of S&OP. For those who know me well, I know they are amazed I have been able to restrain myself from discussing the Technology element this far into the interview! In my mind, Technology will continue to become more crucial for a company’s success with the pace of increased customer expectations, SKU count, shorter lead-times, and smaller ordering quantity while doing all of this with fewer employees. Please understand, I’m also not referring to only the supply chain roles. This doing more with less while having these increase demands on the organization is impacting EVERY functional area. Technology is one of the three base pillars in advancing S&OP, and companies’ performances, which has already separated out winners and losers in many industries. A 2015 Fortune article called “5 things you didn’t know about the Fortune 500” does an excellent job putting this into perspective. They asked all the Fortune 500 CEOs, what is your company’s greatest challenge? 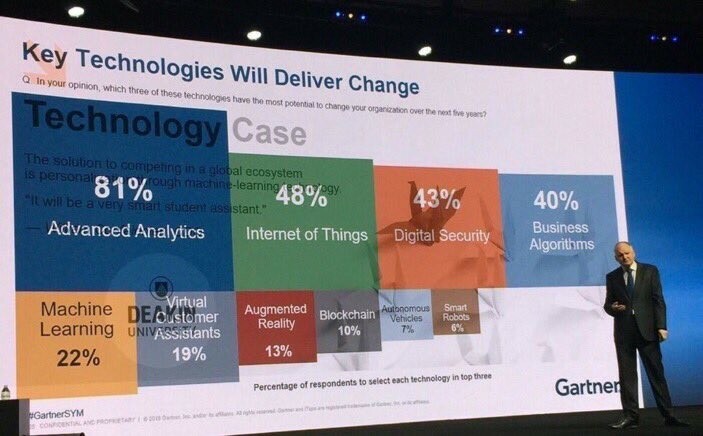 The top response was “The rapid pace of technological change” with an overwhelming 72%. This is eye opening when considering the “Shortage of skilled labor” was 4th and “Competition from developing countries” was 8th with only 4% of the CEOs stating it as a top concern. This new cross-industry view by the Fortune 500 CEOs is a considerable shift from what we were all hearing only five years earlier. Over the last ten years the global competitive landscape has gotten more aggressive and this trend will continue based on the expanding expectations of our customers, investors, and management. Every company is requiring everyone to do more with less. Many organizations resistant to technical changes in the collaborative planning process are typically doing this by pushing their People to working harder and not smarter through Process and Technology advancements to try to keep up with their competition. This will cause their company performances to eventually plateau while also loosing some of their top employees due to burnout. A significant proportion of the industry disruptors over the last decade has been driven by new tech savvy companies who have embraced collaborative planning platforms like S&OP accompanied with cutting-edge technology. It’s scary thinking about the pace of change that has impacted so many of us over the last decade with half of the Fortune 500 companies on the list in 2000 no longer being on the 2015 listing. Steve: Start advancing your organization’s analytic and technical capabilities through your People and Processes in ALL AREAS today! Even if you don’t have an advanced software package, don’t let that be an excuse why not to start immediately. It’s amazing the progress companies can make by just using Excel and Access. Just keep moving forward. Utilizing both internal and external analytics will quickly highlight the strengths and weaknesses of both the People and Processes when done correctly. Some software selling and consulting companies contribute to one additional S&OP fallacy that could be added above. Advanced planning software itself is not a fail-safe solution to handle all S&OP and business problems. We could place the most advanced planning and analytical tools at a company within the S&OP maturity stage 1) Reactive Engagement and it will usually hurt their performances more than help them. These tools magnify processes and data integrity issues sometime causing larger problems due to individuals not understanding why the system is recommending what it is. This can be a very hard pill for senior individuals to swallow when spending hundreds of thousands if not millions of dollars for the new “improvement software” implementation. Niels: What will S&OP process look like in a decade from now? Steve: Even with the limited changes over the last 30 years, I do believe S&OP will be substantially transformed over the next decade more due to technology than anything else. Based off Moore’s Law, systems processing speed will continue to double every 18 months. This is hard to get your mind rapped around, but a unit which could process 100 pieces of data in 2007, becomes around 5,000 pieces of data in 2017, and then up to approximately 250,000 in 2027! When considering how far companies like Amazon, Tesla Motors, Alibaba, Uber, SpaceX, Airbnb, and many more have already evolved with Advanced Analytics, Artificial Intelligence (AI), Internet of Things (IOT), and Cloud Computing, it’s tough to imagine the amounts of data and types of interactive systems we will be working with in our S&OP processes in 2017! If I had to guess, S&OP processes in five to ten years will start looking more like the Waze GPS App where companies are interacting globally feeding real-time data to members within their network. Like millions of drivers are now sharing information on traffic jams, police locations, road hazards, and gas prices, we will see customers sharing demand changes, logistics individuals updating port, rail, and truck backups, supply or commodity disruptions, total cost of ownership changes through the entire supply chain, and much more. Instead of hearing about this type of intelligence through monthly meetings or e-mails, it will be fed real-time in members’ cloud based planning systems providing decision makers exception reports on their predefined parameters. This style of business-to-business (B2B) and business-to-customer (B2C) is already happening on a small-scale currently, but I do expect it to continue to grow as market innovators continue to pull their suppliers, service providers, and the rest of the market with them. Steve: It’s not always greener on the other side of the fence and everyone no matter their size, industry, or region of the world struggles with true enterprise collaboration and alignment. For those who have hit an impassable barrier or just starting out, talk with mentors, individuals outside your functional area, and other companies to get a different perspective on your difficulties. It is also beneficial to bring in specialized outside consultants in which can make a big difference in convincing individuals the value and needed cultural changes required. Niels: Thanks for your insights Steve. Steve: Thank you Niels for giving me this opportunity to be part of your “S&OP, a vision for the future” project. Steve great incites, in particular I like the comment global competition getting more and more aggressive and competitive. I find simple metaphors useful to get business leaders engaged so how about this… any business (local or global) without an S&OP (or S&OP like forward looking production balancing process) will be caught playing checkers when their competitors are playing Chess. Great job in pulling this interview series together Niels, and I hope your readers find value within it. Thanks Anonymous. Hope you like it too.